House of Cards Season 3 review and House of Cards Season 3 DVD backup. The best way to backup House of Cards Season 3 DVD to any formats and devices. How to Backup House of Cards Season 3 DVD? House of Cards is a milestone for American TV series, whether you are a TV fan or not, it's a deep TV series which is always tasteful. There is no doubt that it gets a high rating score of 9.1 on IMDb if you have watched it before. Directed by James Foley, starred by Michael Kelly, Kevin Spacey and other stars, this TV drama is an adaptation of 1989 House of Cards fiction, which comes out from Michael Dobbs' hands. It tells a story about Francis Underwood who starts as a normal politician, uses cut-throat political methods to get his promotion road cleaned, and finally makes himself the president of the United State step by step till the season 3 ends. It shows how deeply the power can draw people to the darkness and make people to do insane deeds just for gaining the power. It's all about sharpness, considerate planning, flawless marching for more powerful titles and one clear target for the higher position. 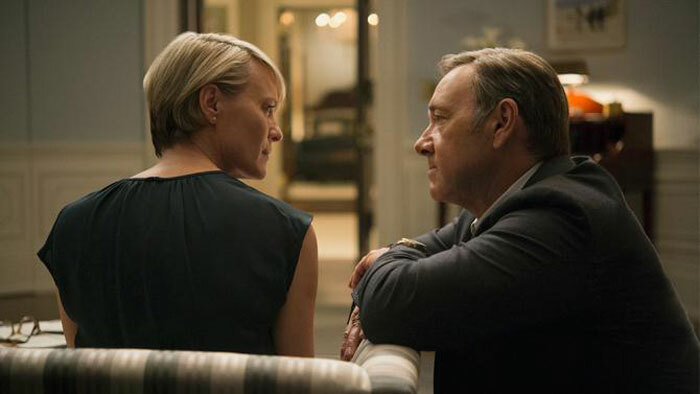 Unlike normal TV series, House of Cards' protagonists - Underwood and Claire, the most powerful spouse in the play, are quite different from the typical political spouse, like Madam Secretary. Their relationship twists with the pursuit of power, taking advantage of each other, loving each other, sometimes betraying each other, and most of the time supporting each other, caring for each other. It's unique and outlandish to describe the protagonist spouse, the two smartest brains in this way. In all, based on the complicated relationship, the unique writing methods and the beauty of artistic creation, it's the kind of TV series which is always worthy of collecting and watching. Some critics say it's fictional, not a true politician description luckily. Ruthless politics did not happen in real life. TheAtlantic network, as a force stands for other authority papers, writes a page to compare American historic politicians' cases with the figures' scenes in the House of Cards, which sharply points some astonishing similarities between the real history and the crazy fiction. So it's quite meaningful and thoughtful. It's worthy of storing and watching again. 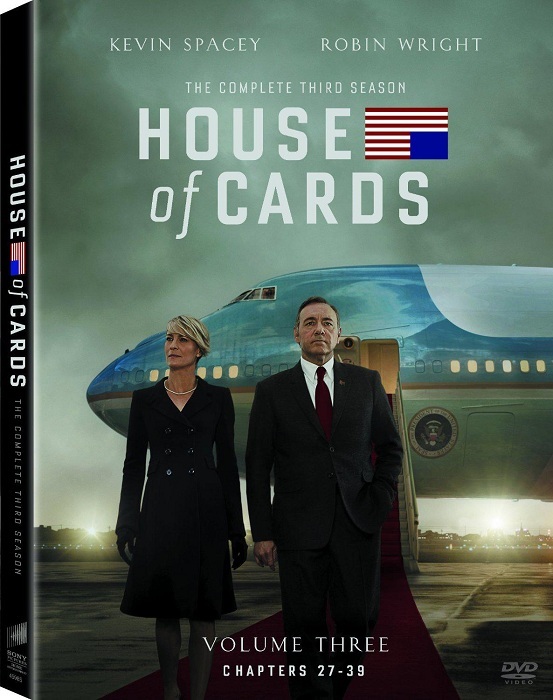 House of Cards Season 3 DVD release date is scheduled on July 7, 2015. When the time is ripe, House of Cards TV fans can enjoy the grand festival by collecting House of Cards Season 3 DVD. By making a copy of House of Cards Season 3 DVD, you can watch House of Cards on your other devices. At the same time, you can collect and store it in a good condition away from laser scratch of DVD-ROM reading. Since all kinds of DVD damages are irreversible, as an honest House of Cards fan, you can avoid these damages by backing up DVD, then you will keep the precious House of Cards Season 3 DVD forever. First, download and install WonderFox DVD Ripper Pro to your Windows PC. Second, insert House of Cards Season 3 DVD into DVD-Rom. When finishing loading, enter WonderFox DVD Ripper Pro main interface and click [DVD Disc]. Third, select your output format or devices from [Output Format] on the right of the interface. At last, click [RUN] on the bottom, then it will rip House of Cards Season 3 DVD for you. Here is a video tutorial shows how to back up DVD to video format and device, taking backup PETER PAN DVD to MP4 format as an example. CopyRight @ 2009-2019 WonderFox Soft, Inc. All Rights Reserved.